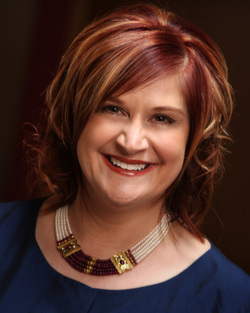 Jillian Maas Backman is an award-winning radio personality and intuitive life coach. An expert in energy management, she helps her listeners and clients successfully balance the intuitive and intellectual parts of themselves to realize personal fulfillment and achieve a peaceful way of life. With a degree in psychology from the University of Texas in San Antonio, she is able to see beyond the surface, deep into the self, to understand human nature and emotion, the complete person. Her clients include corporate executives, international business leaders, celebrity musicians, artists, and school administrators. Surrounded by a continuous connection to “church,” Ms. Backman spent her childhood honoring her faith tradition. Throughout her younger years, she tapped into her gift of intuition; not until later years, in college, did she begin to harness the power and understand how this process could enlighten all aspects of her life. Both her educational knowledge and life experiences have culminated into a career dedicated to intuitive life coaching and soulful living. Learn more about Ms. Backman's work at www.JillianMaasBackman.com.